All-in-one and one-for-all, TriosAir Plus™ headset, easily connects to any of your devices from dual plug PCs to one-plug TRRS or USB Chromebooks, tablets and smartphones! Plus it features a full 1 year warranty. HamiltonBuhl has redefined what a true multimedia headset is! All-in-one and one-for-all, TriosPlus™ headset, easily connects to any of your devices from dual plug PCs to one-plug TRRS or USB Chromebooks, tablets and smartphones! 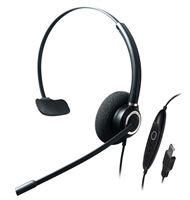 ADDASOUND's Crystal SR2701/SR2702 headsets are particularly designed to meet the special needs of speech recognition and dictation. The advanced noise canceling technology and ergonomic design, guarantee all-day comfort. Accurate audio performance and excellent voice communication in multiple environments. 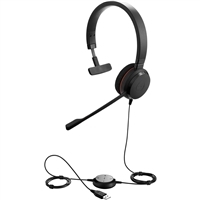 These affordable headsets make work easier and more efficient! 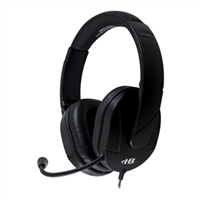 Professional USB Noise Canceling Headsets for Speech Recognition.